Raise cash, burn it, rinse, repeat—that has essentially been the business model of enterprising startups like Tesla and Uber for some time. And an insightful report from The Economist shows just how uncommon it is for companies like that to achieve prolonged success. 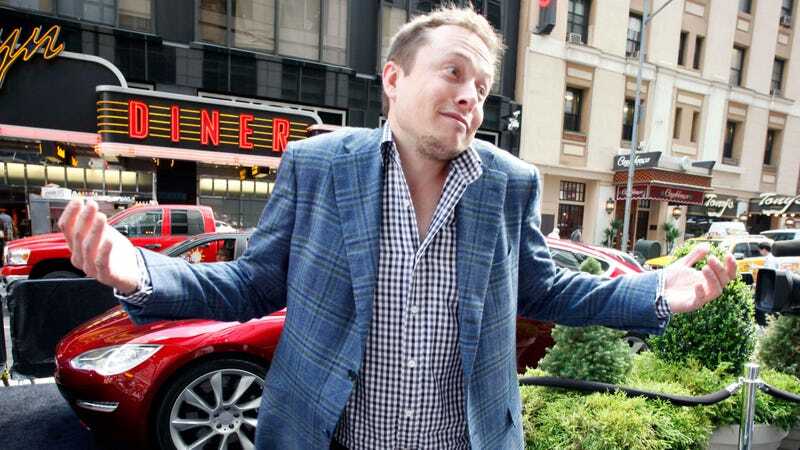 Tesla, Uber, along with three other cash-burning fanatic firms, have lost a combined $100 billion over the past decade, the Economist reports, but all together they combine to have a market value of roughly $300 billion. So what gives? In particular, it’s having a Vision—disrupting how we travel beyond Earth’s orbit (SpaceX), how we travel on Earth (Tesla, Uber), how we watch movies (Netflix). It’s also pure capitalism. Investing today for profits tomorrow is what capitalism is all about. Amazon lost $4bn in 2012-14 while building an empire that now makes money. Nonetheless, it is rare for big companies to sustain heavy losses just to expand fast. If you examine the members of the Russell 1000 index [a stock market index] of large American firms, only 25 of them, or 3.3%, lost over $1bn of free cashflow in 2016 (all figures exclude financial firms and are based on Bloomberg data). In 2007 the share was 1.4% and in 1997, under 1%. Most billion-dollar losers today are energy firms temporarily in the doldrums as they adjust to a recent plunge in oil prices. Their losses are an accident. The Economist scrutinizes five entities, including two energy companies, as well as Tesla, Uber, Netflix—big Vision companies who, the news publication says, have “largely unproven” business models. So it helps to show that, hypothetically, profits would gush if breakneck growth were to stop. Uber says it is profitable in cities where it has operated longest, such as San Francisco. Nextera says that if it stopped investing in new capacity, it would make $6bn of free cashflow a year. Netflix amortises the cost of content over periods of up to five years, so reports an accounting profit even as it bleeds cash. Oftentimes, talk about the bottom line of Tesla gets distorted because, really, the automaker could theoretically stay afloat in perpetuity, so long as Musk secures investors who’re willing to wait an unusually long time for profits to be delivered. (Again, this is unusual.) But, as the Economist puts it, “the longer it goes on for, the harder it gets.” More debt gets added on, the bigger the liability grows, and maintaining projections of huge, stable profits somewhere down the line just isn’t so easy. And that’s the upshot here: statistically speaking, Tesla and Uber are anomalies. Economist reports that only 37 companies in the Russell 1000 index have lost $1 billion or more for at least two years in a row. Only 21 of those companies still lose money. So if Tesla and Uber succeed and produce longterm profits—maybe they will; weirder things have happened!—they’ll be proving a whole host of companies and people wrong. Does Wall Street Really Think Uber Will Kill Car Ownership?